Reputation Damage - Risk Event or Risk Impact? Executives and CEO's involved are ushered out the door - key person risks arise. Fines were or will be imposed by regulatory agencies, which seem larger and more punitive in recent years. Class action lawsuits are attempted on behalf of disgruntled shareholders resulting in additional legal fees and potential settlement costs. Strategic growth objectives are derailed, as the companies involved need to batten down the hatches to recover from the scandal. The ultimate cost to companies involved in these type of scandals are enormous and I'm sure, corporate governance and risk management get elevated as a priority. Albeit it too late. The focus of many commentators on these events include that they are examples of "Reputation Risk". Whilst reputation damage is a major aspect of these events, further investigation using Bow Tie (Cause, Event, Impact) analysis provides a greater and more valuable insight into these scandals. "The Risk of... (Risk Event/s)... due to... (Risk Cause/s )... resulting in... (Risk Impact/s)..."
Non compliance with banking laws. 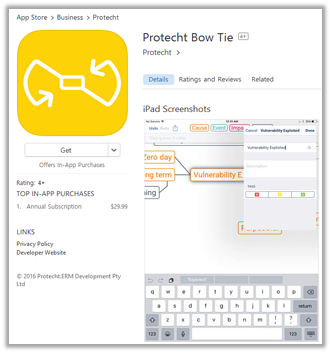 Protecht has developed a Bow Tie App. Read more information here. The Webster dictionary defines reputation as "Overall quality or character as seen or judged by people in general". The use of the word "overall" suggests that one's reputation is comprised of multiple building blocks - customer service, corporate governance and ethical behaviour as examples. Often, however, we see "Reputation risk" being considered as a risk event when upon closer inspection, it is the end result of more specific risk events that can have a number of impacts. So if you see reputation damage being assessed as a risk event, stop and ask yourself, what actual events would lead to our reputation being damaged and what would be the more specific impacts that can be associated with them. In all likelihood, these will be the true risk events and impacts that should be assessed. David Bergmark consults on a variety of market and enterprise risk management issues and is actively involved in the development and implementation of Protecht's risk management software (ERM and ALM). 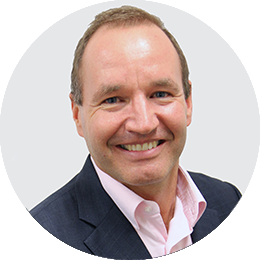 David started out in the audit division of Price Waterhouse in 1990, handling clients such as Macquarie Bank and Bankers Trust. By 1994 he was Risk Controller for Carrington Securities - a financial markets trading company. 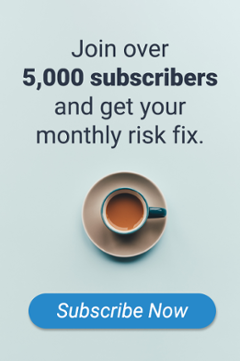 In 1996 David left Carrington to head up the Risk Management Department at IBJ Australia Bank (IBJA) where he was responsible for the development of all risk disciplines at the bank – market, credit, liquidity and operational.